I am a busy wife and mother of 3. I am always looking for ways to make meals quick yet healthy and yummy. My 3 kids love fish sticks-they think they are the bees knees. 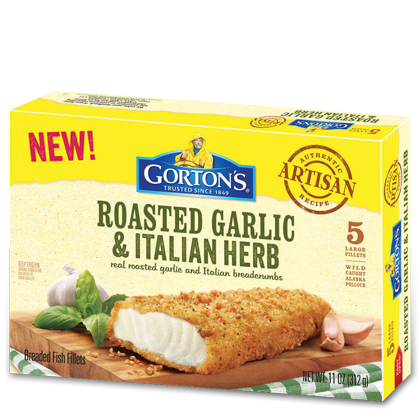 Well Gortons has come out with a grown-up version of fish sticks in the ARTISAN RECIPE FILLETS. 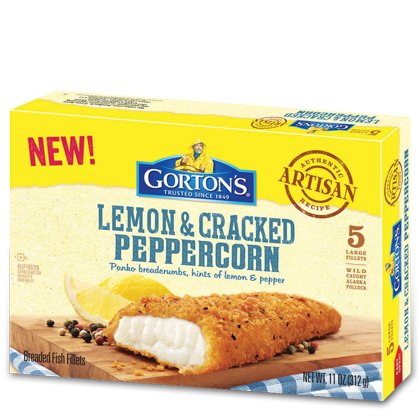 The all NEW Gorton’s Artisan Fillets is available in Roasted Garlic & Italian Herb, Lemon & Cracked Peppercorn, Southwest Tortilla and Southern Style varieties-do not disappoint. They are light and flavorful-Each pack contained five nice sized fillets, ready to bake. My kids love the fact that is was easy to "help" me cook with these. These are great if you are trying to portion control and watch your calorie intake. My family was able to try all the new flavors and we loved them all and each had our favorite. The Gortons web page is a great place to visit and find coupons and recipe. Bold seafood flavor has never been easier. Real wild-caught Alaska Pollock. With real ingredients like lemon, cracked peppercorn and Panko bread crumbs. Bold flavor, crunchy texture, delicious dinner. 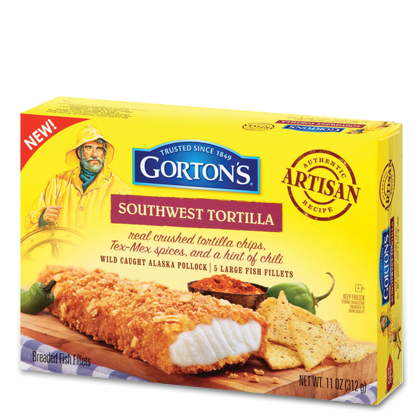 your next seafood meal with Southwest Tortilla fillets. Real wild-caught Alaska Pollock. Real ingredients like Southern spices and a crunchy corn coating. Bold, delicious seafood has never been easier. Gorton’s is having a great, contest the Real Solutions Sweepstakes between March 3 and April 21 be sure to enter. There will be, 490 Daily Prize Winners: each daily winner receives one (1) VIP product coupon; 14 First Prize Winners: each First Prize Winner receives one (1) $100 Visa® Gift Card and one (1) Gorton’s branded cutting board 1 Grand Prize Winner: $2,500.00 cash prize! Wow, these prizes are amazing! Who could not use some extra money? This would be wonderful to win. Make sure to enter you just may one of the lucky winners. Enter by April 21, 2014.